Hotel Halifax features 17 exceptional event venues, providing 9,818 square feet of inviting and elegant space. Our largest meeting room can accommodate up to 450 guests in a theater-style setup. Audio-visual equipment and services are supported by Freemans Audiovisual, offering friendly service and prompt onsite assistance from knowledgeable technicians. Our talented staff will happily work with you to customize your meeting or event, with no request too big or too small. Choose delicious onsite catering courtesy of our Executive Chef, Andy Camm, and his culinary team. To make your event an even smoother occasion, book a block of 10 or more rooms at our hotel to receive a special group rate. When it comes to unforgettable weddings, our staff take care to personalize every aspect to ensure that every detail is perfectly attended to. 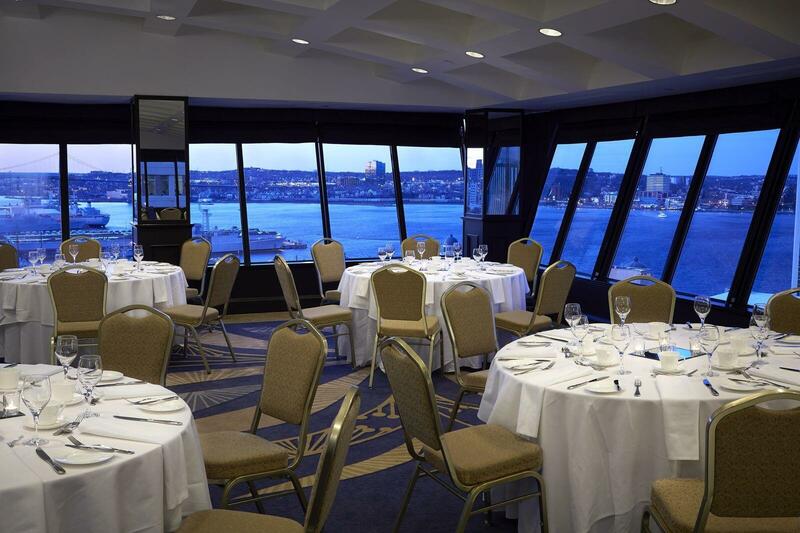 The Bluenose and Baronet Ballrooms provide breathtaking views of the waterfront and cityscape, accommodating groups of up to 250 for a wedding dinner and dance. We also feature smaller ballrooms for more intimate celebrations.